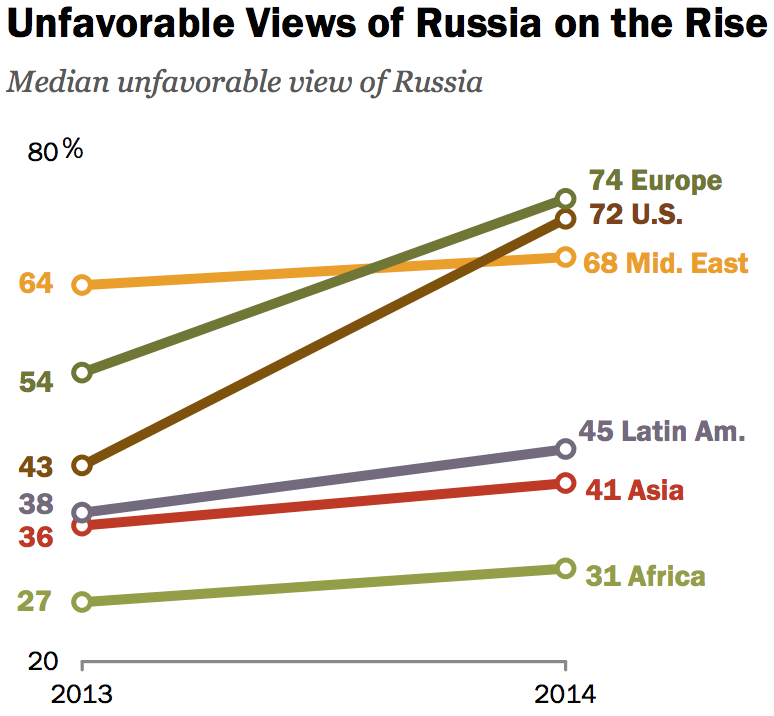 In the United States, unfavorable views of Russia had jumped by 29 points in just one year. Similarly, in Europe, they climbed 20 points. Latin America, Asia and Africa had also seen their opinions of Russia grow more guarded, albeit by a far smaller margin. In sum: more than two-thirds of people in the United States, Europe and the Middle East — all the regions most interested in what comes next — are pretty much anti-Russia. Any way you slice the data, Russia has few allies beyond China and a smattering of others that include Greece, Bangladesh and Vietnam. Next Next post: 92 Percent? 99 Percent?